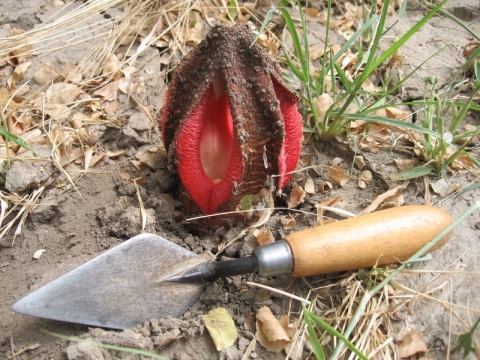 Emerging flower. This is the only part of the plant that ever appears above ground. A downloaded web page giving fairly detailed information on the parasitic genus Hydnore.